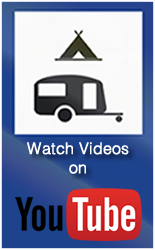 The park offers a variety of basic powered and unpowered camping areas, campsites. None have shower facilities. Some sites are available all year round, though the Sand Dune and Honeymoon Bay campsites are only open over summer and Easter. Only the main campsite at Richardsons Beach has powered sites; outside of the main Summer and /Easter holiday period, a self registration system applies to camping. Booking and other details are found on the display board outside the park entry station. Additional cars must be parked in the overflow carparks located amongst the dune sites or in the carpark at Ranger Creek. Please also note there are no laundry or hot shower facilities. 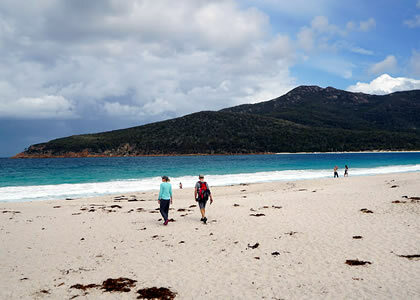 For overnight bushwalkers there are small campsites at Wineglass Bay, Hazards, Cooks and Bryans Beaches. Camping and toilets are also available at the Friendly Beaches - Prices apply, and are subject to change without notice. Freycinet is a fuel stove preferred area as it is very dry and vulnerable to fire especially during hotter summer months. Fireplaces and firewood are provided only in areas where fires can be lit safely. No fires are allowed in the sand dunes.